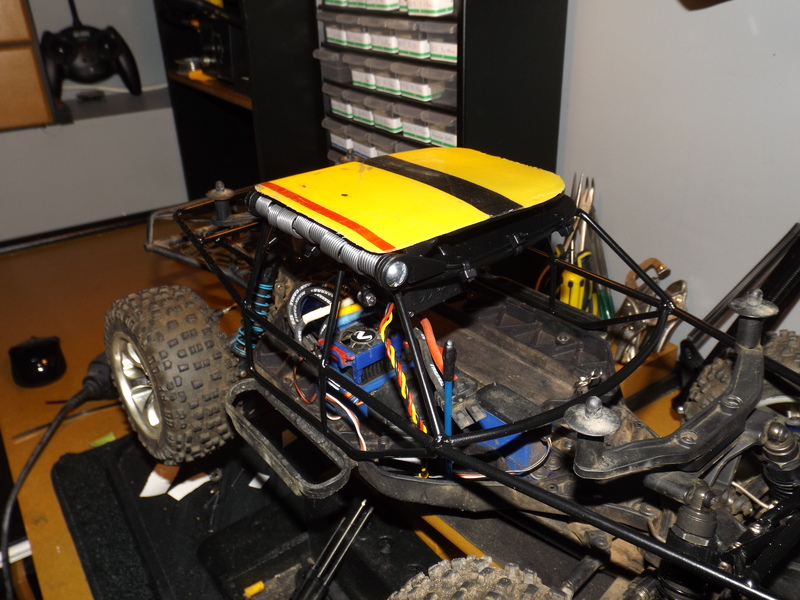 I am using the Integy Roll Cage for the Slash 4×4. 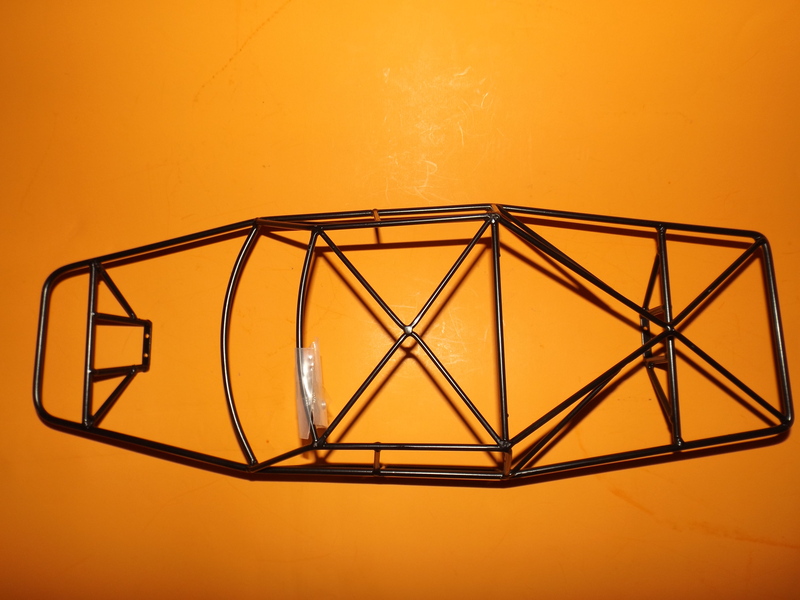 Center the RhinoForce S2 on the Roll Cage before tightening the Zip ties. 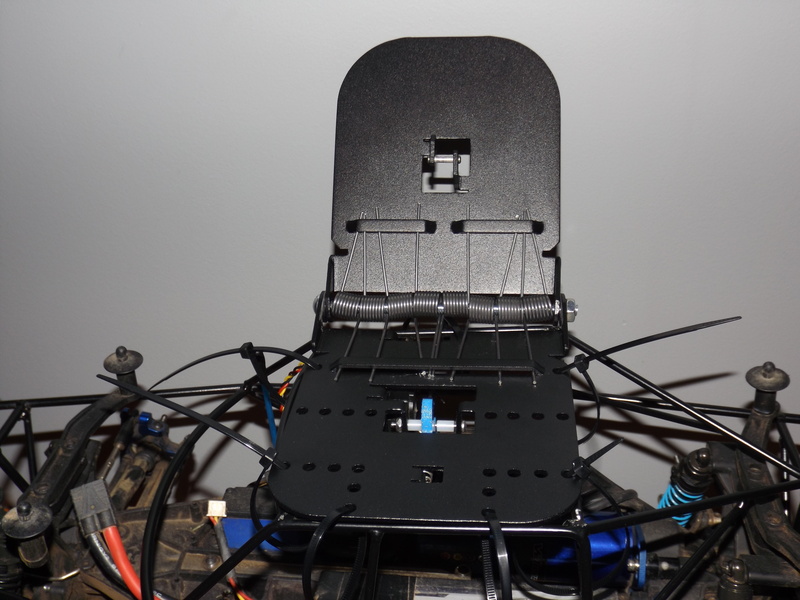 Use all of the zip ties to mount the RhinoForce S2 to the roll cage, it distributes a lot of force and if not properly secured, it won’t work properly. 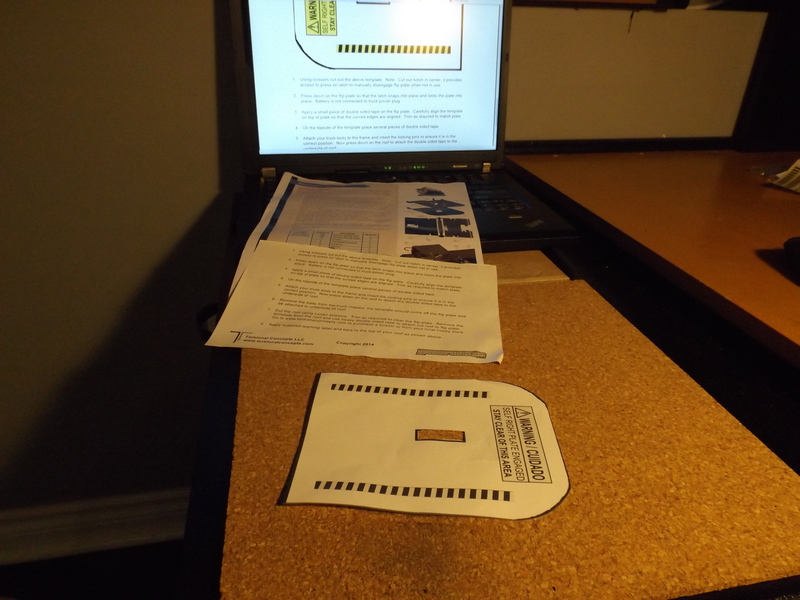 Cut out the template as described. 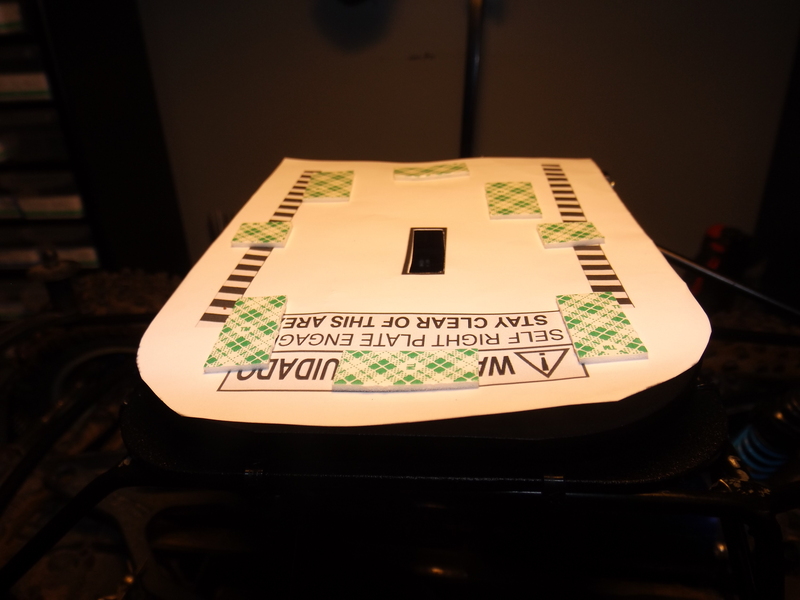 Use double sided tape to transfer the template to the roof. Cutting the roof was hard on the hands. 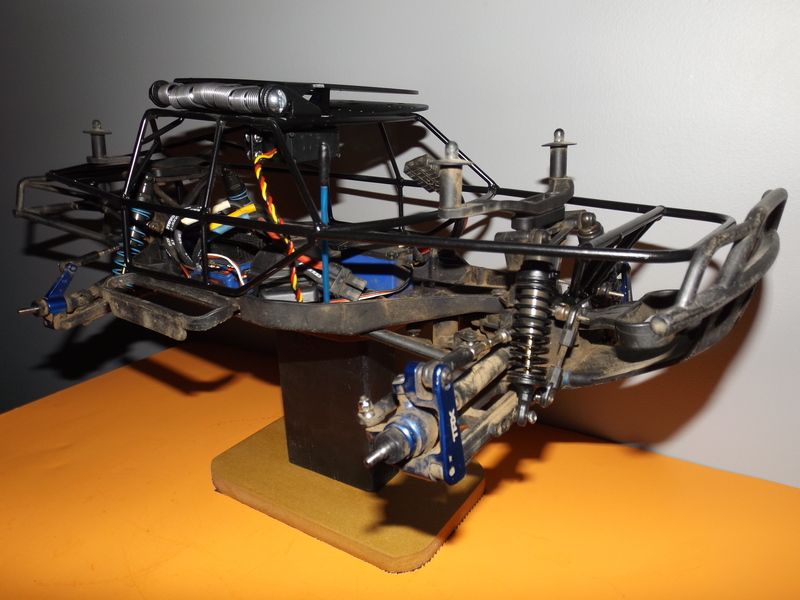 I am using very old “Basher” body I had sitting around. 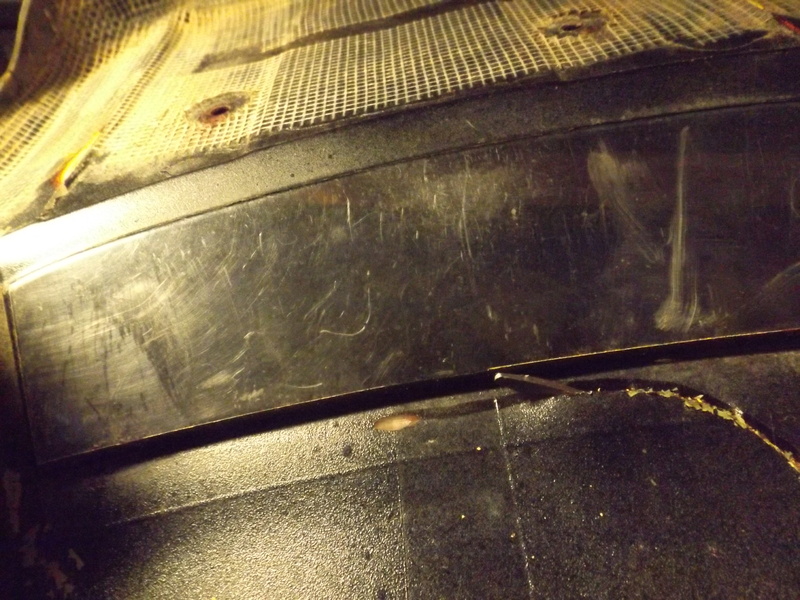 To be honest, the body was in very bad shape and it is held together with a bunch of Shoe Goo and drywall tape as you can see in the pictures above. 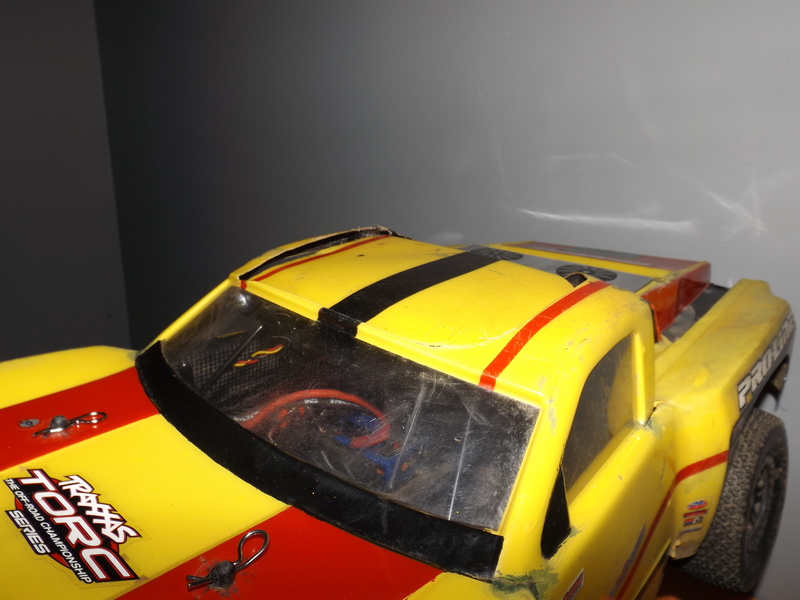 The hardest part of this process for me was cutting out the roof of my SCT, it was tough getting things started and working my lexan scissors around the first corner was very difficult. Be patient and things should play out just fine, the more you cut, the easier it gets. I put the body on to help line up the piece I cut from the roof. 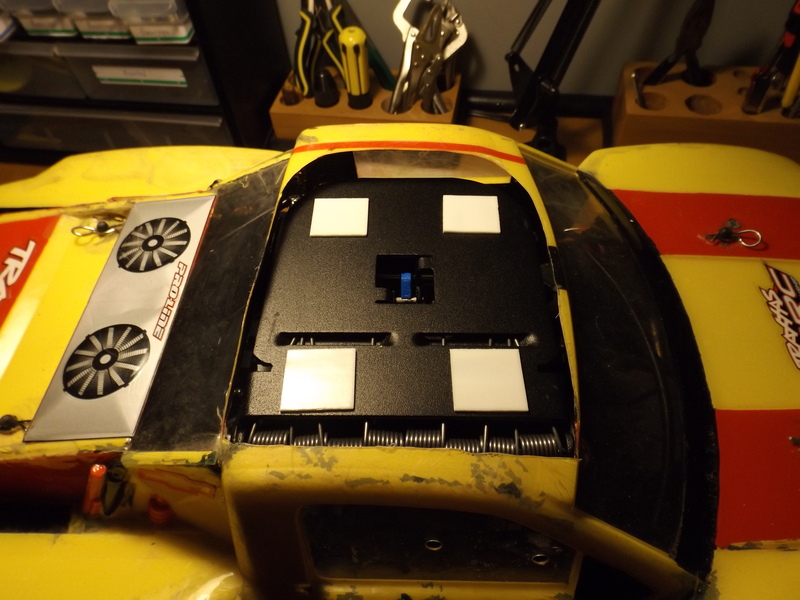 I believe that if I used a body in better shape, I would have cleaner lines between the RhinoForce S2 Flip Plate and the body of my SCT. It took some trimming, but I am happy with the end result. I like having the hole in the roof. 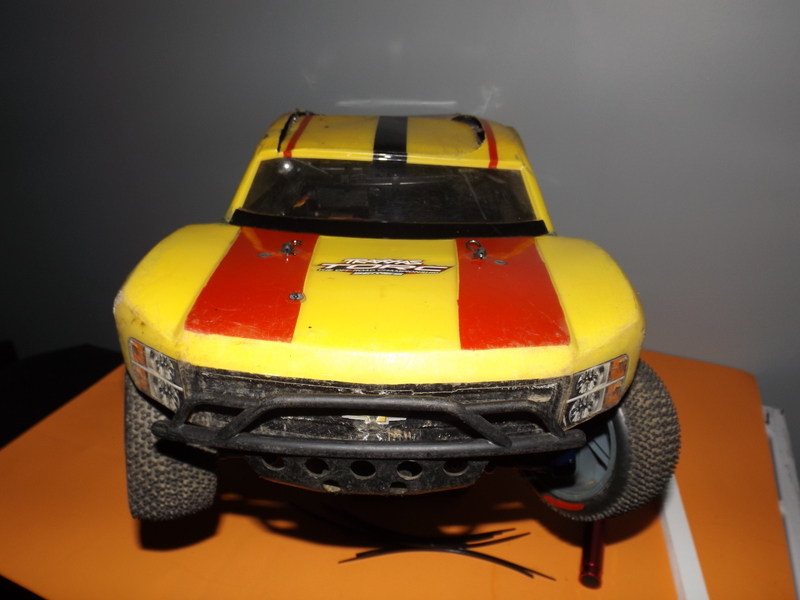 After adding the weight of the roll cage, the RhinoForce S2, to the Slash 4×4, the hole in the roof will give the extra heat a place to escape. Remember, the body I am using was is not in the best condition. I could have used 2 layers of double sided tape, to help even out the roof, but I plan on “Bashing” with this bad boy, so the look doesn’t bother me. 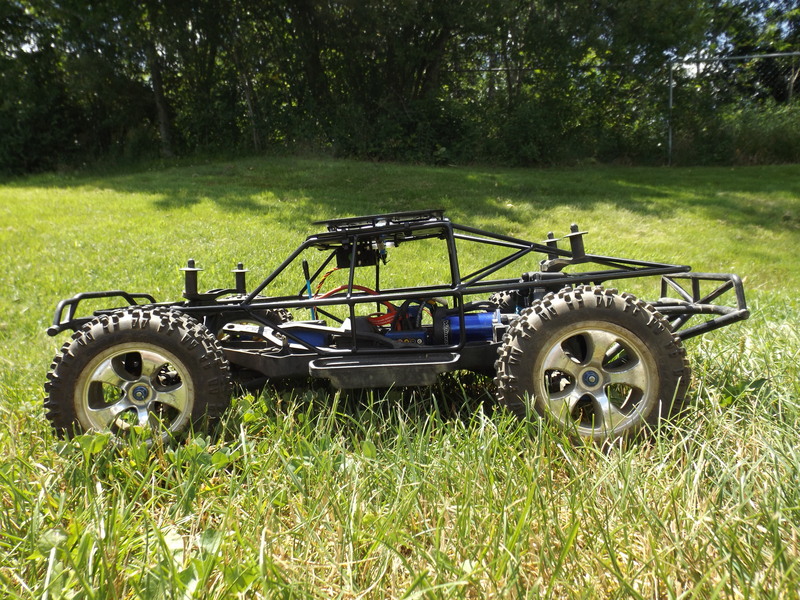 In fact, I like the look of the Slash with just the roll cage and the RhinoForce S2. 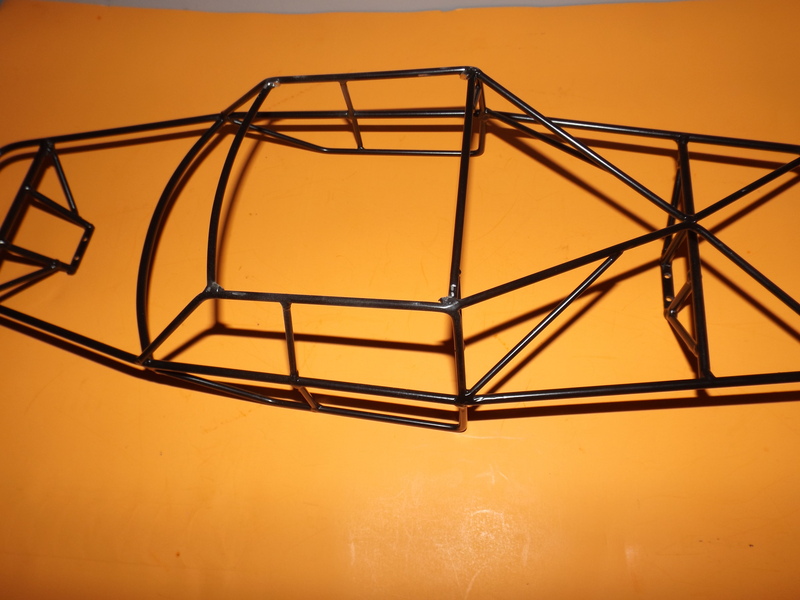 I am thinking of getting some lexan sheets and making a few body panels to complete the look, but that is for another day. I am ready to take this outside and put the RhinoForce S2 to the test. I will update in a few days with my findings. 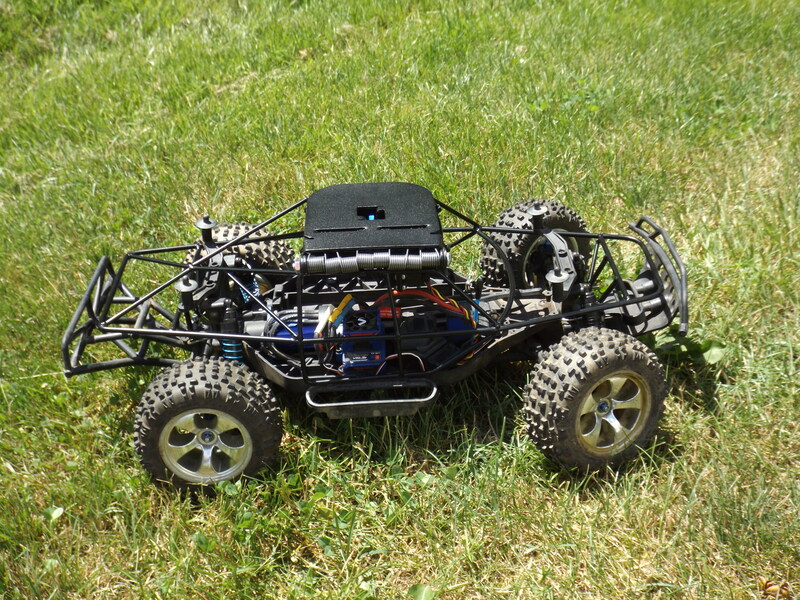 The RhinoForce S2, retails for $69.99 and can be purchased at Torsional Concepts. 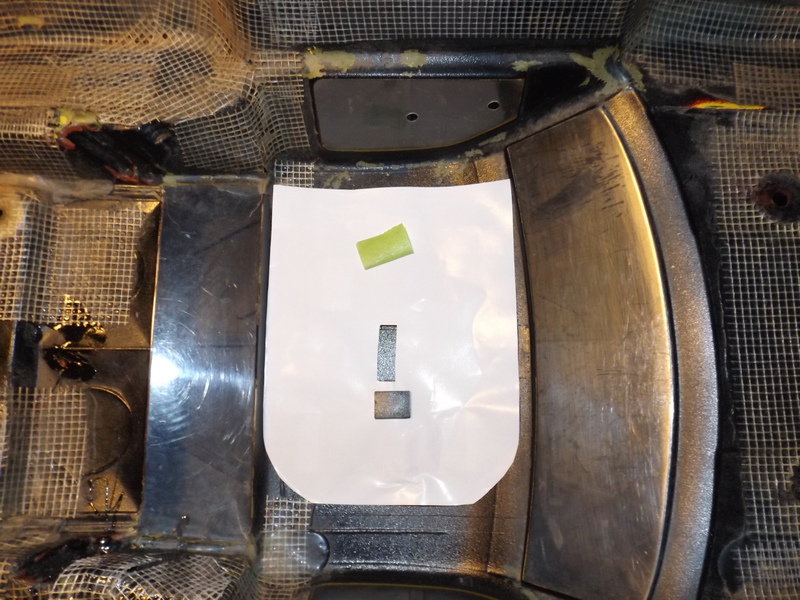 If I remove the body post and add some body panels……..